Who remembers those weekend mornings when you would wake up and be all excited because you can play video games for hours on end? 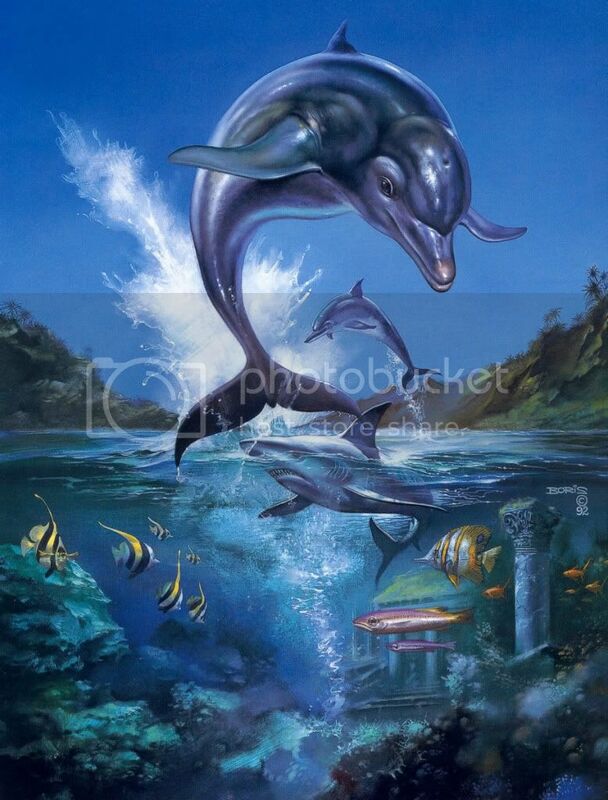 For me my excitement would very quickly turn to frustration when ever I played ecco the dolphin!!!!! Most normal kids would decide to play sonic or street fighter when they switched on their sega mega drives. But nooo me beeing the stubborn little moo that I was decided "I wont let that naughty bottle nose defeat me", clearly I thaught because I learned a new section of the times table at school I had become invincible and I could now take on the ocean with my dolphin friend! Could I hell, I remember getting so angry when playing this game, all sorts of vulgarities came out my mouth due to the pure frustration. And to this day I still havent cleared it because I get so mad haha. It is quite kool how such an annoyingly hard and frustrating game is so popular, just goes to show how great retro can be. What expirences do you guys have with this game? Have you even played it? If not get hold of it and enjoy the feeling of blood boiling it's actually quite enjoyable in a twisted kind of way! Take a look at this video on youtube, just the sounds bring back memories of a much harder time haha! OMG loads of memories come flooding back, great gate actually. Reckon i must have spent hours on this back in the day. lol i only used to mess about on this game i could never get seriously into it.I was alway's playing road rash,sonic or pit fighter. Quite shocked you never got really into it as you can be as stubborn as me when it comes to silly things! Oh yes I forgot you had that hehe. I cant wait to see how frustrated you get!